When the subject of Changeville comes up in conversation, the word “diversity” is sure to follow. That’s because Gainesville’s “festival for social change,” now in its fourth year, is all about inclusiveness, especially among those performing during the two-day event. Locos Por Juana from Miami headlines Thursday night’s free Changeville concert at Bo Diddley Plaza. Changeville begins Thursday with a pair of panels/workshops during the day at The Bull, an evening of poetry in the Hippodrome’s lower level and live music at four venues, including a free outdoor concert at Bo Diddley Plaza. The event concludes Friday with documentary film screenings at the Hipp Cinema, another panel/workshop at the Bull, “PorchFest” music at three venues, a comedy show at High Dive and plenty more live music to close out the festivities. Ten downtown venues are hosting Changeville-related events and more than 30 musical acts are performing. Many of the events are free, although all-access Festival passes are available for $55 through ticketfly.com. Locos Por Juana headlines the free concert at Bo Diddley Plaza on Thursday evening. Gates open at 5 p.m. with entertainment by DJ Mellow Blendz followed by sets from Gainesville’s own Savants of Soul and GUTS. Locos Por Juana takes the stage at 8 p.m.
Charles Bradley, Talib Kweli and Benjamin Booker previously headlined Bo Diddley Plaza shows during Changeville. Lavery said that unlike previous years, the Plaza show is completely free. However, attendees are encouraged to give some sort of donation. Proceeds will benefit the Gainesville Girls Rock Camp and CEEAS, working to maximize teaching and learning in schools within juvenile justice facilities. Donated goods will go to the Grace Marketplace homeless shelter. The Plaza event will also include a street fair featuring food trucks, massage tents and other vendors and community booths. 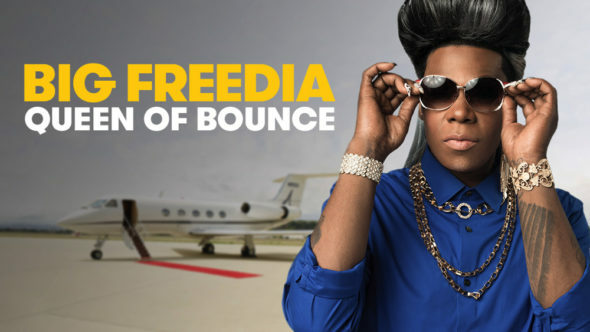 Big Freedia will make her third High Dive appearance in as many years Thursday night. Later Thursday, there will be shows headlined by Ted Leo (frontman for The Pharmacists) and Laura Stevenson at the Atlantic, by The Forum at Swamp City Gallery and Lounge, and by Big Freedia at High Dive. It’s Big Freedia’s second appearance during Changeville. Japanese Breakfast takes over the High Dive stage on Friday night. Lavery said he expects the high-energy show to sell out in advance. Japanese Breakfast (Michelle Zauner) will perform Friday night at High Dive. Changeville began in 2016 as an offshoot of the frank Conference organized by the UF College of Journalism and Communications. The annual gathering, which got under way on Tuesday, informs and drives the field of public-interest communications through research, insights and news. Vito said that while attendees are enjoying films, poetry, virtual reality, live music and other activities, there is a common message being driven home through Changeville. Panel/Workshop: Storytelling and Social Change — Storytelling for Inclusion with panelists Dr. Jaron Jones, LB Hannahs, Maytha Alhassen and Tracy Van Slyke, 10:15-11:15 a.m. at the Bull, 18 SW 1st Ave. Free. Panel/Workshop: Using Art to Drive Social Change with panelists Marika Shaw, Ted Leo, Zahra Noorbakhsh and Taylor Williams, 3:30-5 p.m. at the Bull, 18 SW 1st Ave. Free. Poetry: featuring Canes On Da Mic in the Hippodrome lower level, 25 SE 2nd Place, 6:15-8:15 p.m. Tickets $10 (thehipp.org). Live Music: Locos Por Juana (Miami), Savants of Soul, Guts and DJ Mellow Blendz at Bo Diddley Plaza, 111 E. University Ave. Gates open at 5 p.m., show begins at 5:30. Free ($1-$5 suggested donation goes to Girls Rock Camp and CEEAS). Live Music: Ted Leo (solo), Laura Stevenson, The Pauses and The Zeta at the Atlantic, 15 N. Main St. Doors open at 8 p.m., show starts at 8:35. Tickets $12 in advance (ticketfly.com), $14 day of show. Live Music: Big Freedia (New Orleans), King Complex, Sooza and Natalie Claro at High Dive, 210 SW 2nd Ave. Doors open at 9 p.m., show starts at 9:25. Tickets $17 in advance (ticketfly.com); $45 VIP meet-and-greet package. Panel Series: What We Owe to Each Other — Art As a Tool for Empowering Others in Our Community with panelists Ricky Kendall, Gabby Byam, Charlotte Kesl and Nicole Harris, 10-11:15 a.m. at the Bull, 18 SW 1st Ave. Free. Film: Science Fair, 2 p.m., in the Hippodrome Cinema, 25 SE 2nd Place. Tickets $10 (thehipp.org). Film: Won’t You Be My Neighbor? 4 p.m., in the Hippodrome Cinema, 25 SE 2nd Place. Tickets $10 (thehipp.org). PorchFest: featuring Mike Llerena & the Nerve, Stereo RV and Baer and the Lady at the Midnight, 223 S. Main St, 5-7 p.m. Free. PorchFest: featuring V(OWLS) at Volta Coffee, 48 SW 2nd St., 5:30-6:30 p.m. Free. Greenroom: VR/Tech/Startup/VIP Event featuring Sooza (live band) on the porch (6-7 p.m.), Paracosm VR experience, Digital Brands, Feathr, Startup GNV, ACEL (Alachua County Emerging Leaders) and others, 5:45-8 p.m. at Big Top Brewing Company, 201 SE 2nd Ave. Free. Film: Minding the Gap, 6 p.m., in the Hippodrome Cinema, 25 SE 2nd Place. Tickets $10 (thehipp.org). Comedy: featuring Lizz Winstead (Daily Show co-creator) along with Joyelle Johnson, Jaye McBride and Zahra Noorbakhsh at High Dive, 210 SW 2nd Ave. Doors open at 6:30 p.m., show starts at 7. Tickets $12 (ticketfly.com). Live Music: Fraser Murderburger (of The Murderburgers), Kate Kane (of Lipstick Homicide), Expert Timing and Tasha Zoe (full band) at Loosey’s, 120 SW 1st Ave. Doors open at 9 p.m., show starts at 9:15. $5 cover (or free with Festival pass). Live Music: AJJ, Bite Marks, Gutless and Ghost Party (formerly Everymen) at the Wooly, 20 N. Main St. Doors open at 9 p.m., show starts at 9:20. Tickets $17 (ticketfly.com). Live Music: Japanese Breakfast, Flipturn and Pool Kids at High Dive, 210 SW 2nd Ave. Doors open at 9:30 p.m., show starts at 10. Tickets $20 (ticketfly.com). For further info, visit the Changeville 2019 website.